NEW YORK, Aug 9 2007 (IPS) - Imagine rolling out of bed, sprinting to class in your pyjamas and meeting face-to-face with friends in Egypt, the Netherlands, Belgium and Morocco. For university students across the United States, Europe and the Middle East, this improbable encounter has become a weekly reality thanks to the Soliya Connect Programme. “Soliya” – derived from sol, the Latin word for sun, and iya, Arabic for “beam of light” – connects groups of eight university students around the world through advanced online videoconferencing technology in an attempt to bridge thorny cultural divides between the West and Arab worlds. “Having relationships and establishing that human connection enables people to talk about things in a much more open and trusting way,” Soliya President Lucas Welch told IPS. “We’d like to think that having a cross-cultural experience should be a fundamental part of a meaningful higher education and an important part of becoming a global citizen,” he added. 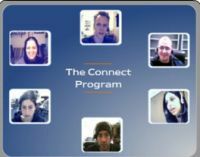 The Connect Programme began in 2003 at just five universities and has grown to reach approximately 800 students at 30 schools including Harvard and Georgetown in the United States, the University of Amsterdam, the American University in Cairo and Al-Akhawayn University in Morocco. RELIGION-US: Who Says Halal and Kosher Don&apos;t Mix? According to Welch, most students enroll in the programme to fulfil a course requirement, but at some universities, including the all-female Dar Al Hekma in Jeddah, Saudi Arabia, it can be pursued as an extracurricular activity. Along with the weekly two-hour chats monitored by volunteer facilitators, students must create and exchange video packages illustrating their perspectives on current world events and must form cross-cultural groups of two or three students within their discussion groups to write a joint article. “The video was the most interesting part [of the programme]. While preparing it, I felt as if I was in a different world,” Sultan H. Al Nehyan, former Soliya participant and Emirati student at the American University of Sharjah, told IPS. When students with different frames of reference collaborate on joint articles that focus on current events, one uniform conclusion is seldom a feasible end result. Not a problem, as far as Soliya organisers and facilitators are concerned. David Specht, Soliya facilitator and faculty at Woodbury College in Vermont, told IPS the story of a Jewish student from the U.S. and a Muslim student from the Middle East who wrote a joint article on the Palestinian question. According to Specht, the two students in his discussion group became troubled by their inability to arrive at a shared conclusion on the issue. Eventually, they laid out two different perspectives of the situation based on their own backgrounds and beliefs. “We had a piece at the end that presented both issues and that didn’t diminish one from the other by coming to an agreement that wasn’t real,” Specht said. Ryan Merchant, a recent Georgetown graduate and Soliya participant in the spring semester, and his partner, a Middle Eastern student, took a similar approach when writing their joint article on the Israel-Hezbollah conflict of 2006. Despite Welch’s initial fear that Soliya could become a series of “flame wars or some sort of forum for vitriolic exchanges,” most discussions have been orderly and constructive. “There were broad disagreements, but it never got out of control. There were never people signing off or screaming,” Merchant added. Although most students and facilitators seem to enjoy their time spent in virtual communication, a few structural and technological kinks still need to be resolved for Soliya to function at its desired capacity. All dialogues are currently conducted in English, and while many small groups have a pair of facilitators, each fluent in English or Arabic, several have only one English speaker in the facilitating role. “Maybe it was the language barrier that prevented others from voicing their views more strongly,” Merchant added. When the Soliya Connect Programme ends as it did for Merchant in May, the relationships forged need not vanish as well. The Georgetown graduate remains in contact with two students in the Middle East, two in Europe and two from other schools in the U.S.
“Going in, I was like, ‘this is going to take a lot of time’. By the second week, I was pretty much hooked on it. It was a great experience overall,” Merchant said. Soliya provides a number of continued engagement activities that enable students to keep in touch, work to educate their communities and bridge the divide between the West and Arab worlds. According to Welch, Soliya is in the process of launching a social media network next year that will enable alumni, and eventually the general public, to learn about rich cultural and media issues. “There is a common belief that education plays a key role in bridging the cultural divide. The more we’re able to connect people to people, the less likely we are to have these divisive issues in the world,” Welch said.